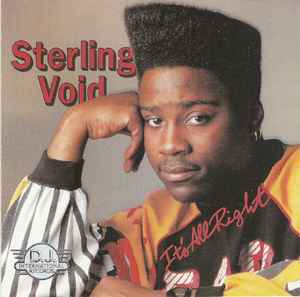 Producer – Joe Smooth, Sterling VoidVocals – T.J.Written-By – Joe Smooth, Sterling Void, T.J.
Producer – Sterling VoidVocals – T.J.Written-By – Sterling Void, T.J.
Producer – Sterling VoidVocals – T.J.Written-By – Duane Pelt, T.J.
Producer – Joe SmoothVocals – Paris BrightledgeWritten-By – Joe Smooth, T.J.
Producer – Sterling VoidWritten-By, Vocals – Sterling Void, T.J.
Producer – Sterling VoidVocals – Paris BrightledgeWritten-By – Joe Smooth, Sterling Void, T.J.
Track 10 is a bonus track, not included on the vinyl edition. Original sound recording made by DJ International. The Copyright in this sound recording is owned by DJ International. CBS United Kingdom are the exclusive licensees for the UK. Tracks 1 & 9. (P) 1987. Tracks 3 to 8 & 10. (P) 1989.